We offer IV sedation options for a relaxing dental care experience for your mother. If your mother is avoiding a needed oral surgery due to anxiety, contact Gwinnett Family Dental Care to learn how IV sedation can make her feel more at ease about oral surgery. We will never sacrifice her comfort while restoring or enhancing her smile. Your mom may not ever tell you, but she may be experiencing a smile low self-esteem. Why not give her the gift of a confident smile? 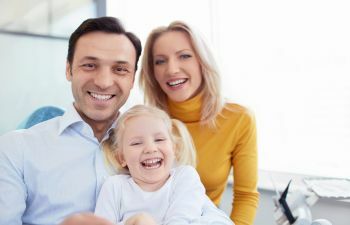 Gwinnett Family Dental Care offers two cosmetic procedures to help restore her smile satisfaction. Teeth whitening can erase signs of again and discoloration. We’re experts in creating a personalized care plan for a white smile. If your mother has discolored, worn, uneven or chipped teeth, porcelain veneers may be the best Mother’s Day gift you could give to her. These porcelain shells are created to cover the front surface of teeth to give her the beautiful smile that matches her inner beauty. Contact Gwinnett Family Dental Care to schedule you or your mother’s cosmetic procedure consultation.